Paying extra attention to details involved with your home improvement project can go a long way, especially if it’s a roof replacement. These include understanding the warranty that comes with your new roof. It’s an essential factor that can protect both you and your investment in the event that you encounter issues with your new system. In this article, reliable roofing contractors in Manassas, VA, Peak Roofing Contractors looks at the significance of having your investment covered with a solid warranty. You’ll want a new roof that can endure the harshest elements and maintain the comfort and energy efficiency of your home. When it starts wearing down and failing long before it should, that’s when a roof warranty comes handy. This should include manufacturer’s warranty, which offers coverage on material defects. When your new roofing is covered with a solid warranty, you can avoid the stress and extra expenses related to inexpert installation. A workmanship warranty covers the work your roof contractor have put in your new system, as well as other labor costs associated with this home improvement. Most companies carry this warranty, though it may vary on period coverage. It’s also important to read the warranty’s fine print so you can avert situations that might void it. These include poor venting, installing a new roof over the old one, putting in antennas or satellite dishes on your new roof, and pressure washing your shingles. 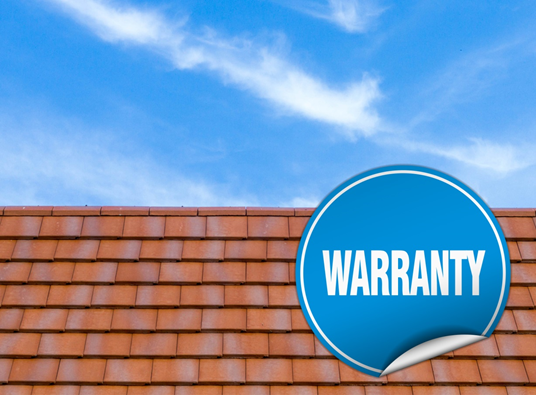 With the extra layer of protection a roof warranty provides, you can be sure you’re protected when your roof shows signs of premature failure. And if you’re looking for roofing contractors in Northern Virginia that offer string options, turn to Peak Roofing Contractors. With our GAF Master Elite™ distinction, we can ensure lasting protection for you and your investment through our solid warranties. Call us today at (703) 745-5153 to learn more of our roof warranties.